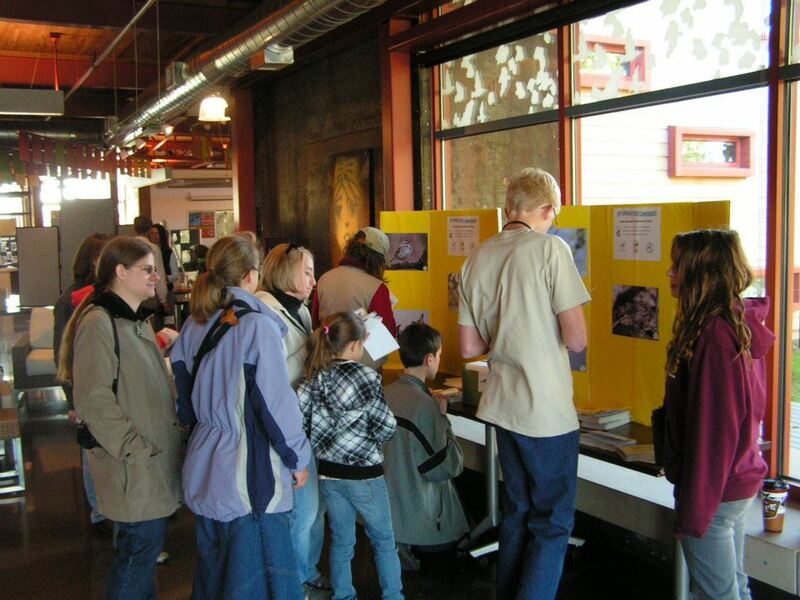 In May of 2006, when I was working as the education director for Black Swamp Bird Observatory (BSBO), I brought together six teens from across the state of Ohio to start some kind of a birding organization for young people. 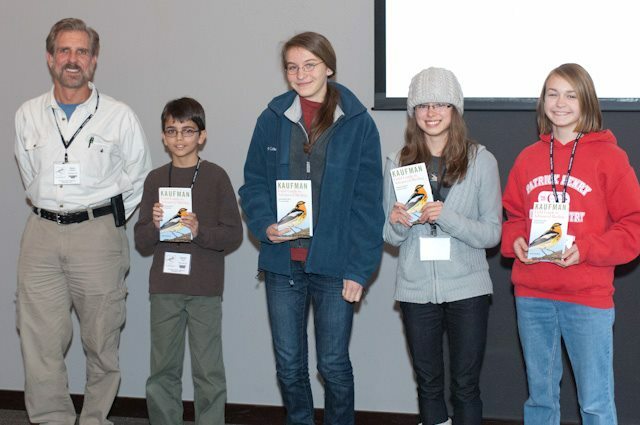 With the help of several dynamic adult supporters, we simply tried to facilitate all the great ideas these young people generated, and the Ohio Young Birders Club (OYBC) was born. 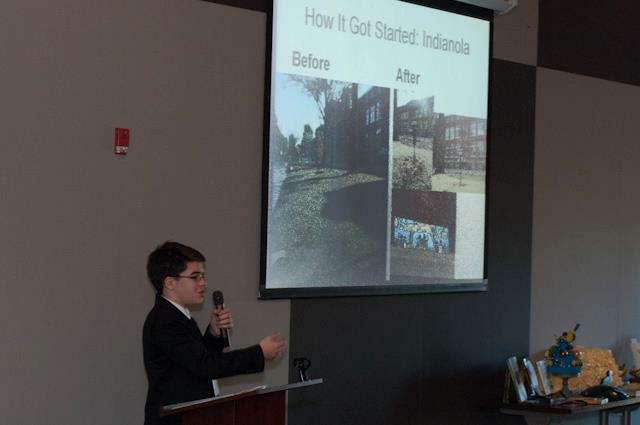 Student members provide content for the club newsletter and help plan monthly field trips all over the state of Ohio. The Club’s yearly activities culminate with an annual conference where all of the presentations are given by young people. We invite a keynote speaker – also a young person – and all of the speakers receive an honorarium. 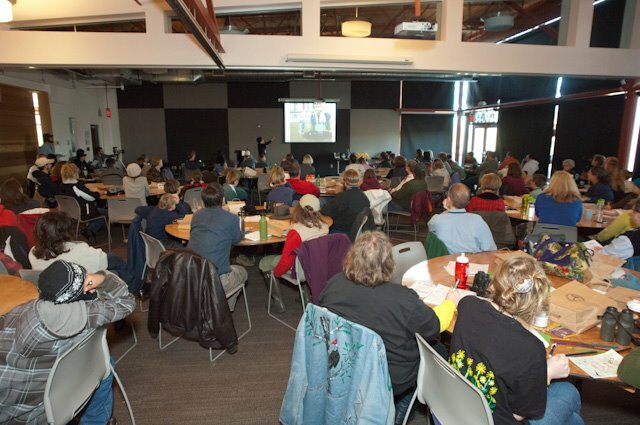 During the six-year history of this event, we’ve been blessed to experience some of the most articulate, dynamic, informative, and entertaining presentations we’ve ever seen at any bird-related event. Seriously: they are that good! Here are some scenes from last year's conference to give you an idea of what an outstanding event it truly is. We begin the morning with a field trip. 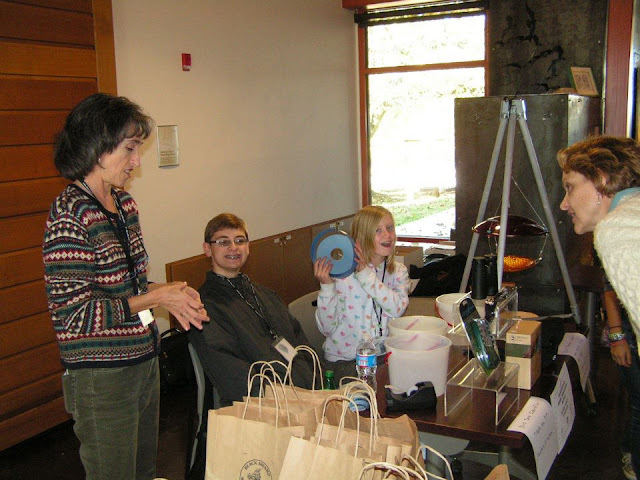 In 2011, the conference was hosted by the Grange Insurance Audubon Center in Columbus, Ohio. Our field trip group birded some of the trails around the center. We also offer a songbird banding demo with the BSBO research and education staff. Each year, we select an OYBC student member to be the Master of Ceremonies. In 2011, Doug Whitman not only MC'd the conference, he also gave a presentation on the value of service projects. Doug was an excellent MC and a tremendous speaker! Every year the number of participants has grown. In 2011, our speakers presented to more than 125 people! If you've ever done public speaking then you know how intimidating it can be to get up in front of even a small group of people. Many of these kids have never done any public speaking before the conference, but you'd never know it. Looking around the room and seeing the faces of dozens of young people in the audience watching their peers as they stand before this big crowd and deliver these knock-out presentations is one of the most rewarding things I've ever experienced! The OYBC is not just about birds. Our field trips explore all aspects of nature, including snakes! 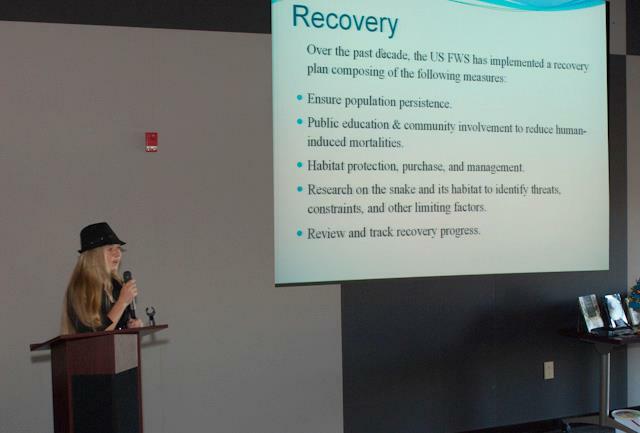 Here, Kathleen Seeley presents a talk on the Lake Erie Watersnake and the research, education, and outreach efforts that helped get this critter removed from the endangered species list! The Kenn Kaufman Photo ID Quiz is a very popular conference tradition! Both adults and young people can participate, but only young people are eligible for prizes. Each year, Kenn (left) is assisted in revealing the Bird Photo ID Quiz answers by a student. Aaron Tayal (next to Kenn) did a great job as Kenn's assistant; however, the winners were all girls! 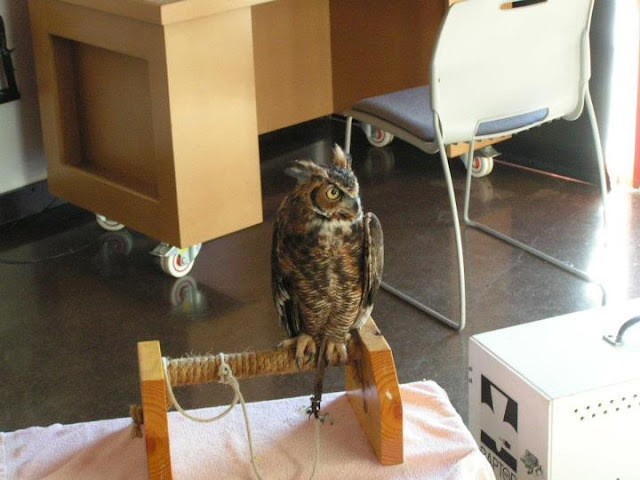 Susan Williams with Raptor Inc. brings her very charismatic birds of prey to the conference. Susan and her birds are always a major highlight. Raptor Inc. donates their time and travel as a sponsor of the conference. The registration fee for the event is just $10 per student and $20 per adult. 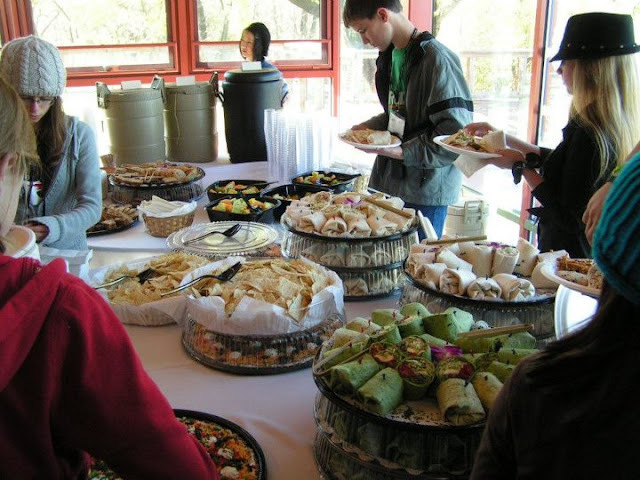 In addition to field trips, banding demos, live birds of prey, and remarkable presenters, we also provide a really tasty lunch! The conference is open to everyone; you do not have to be an OYBC member to attend. 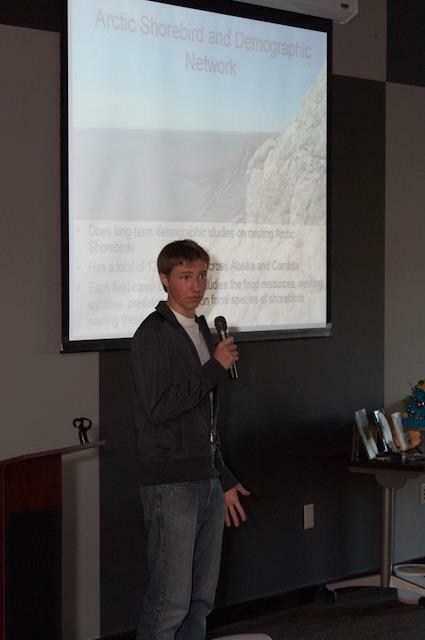 Lukas Padegimas presented a talk on his experience as a field technician on a shorebird research project in Alaska! 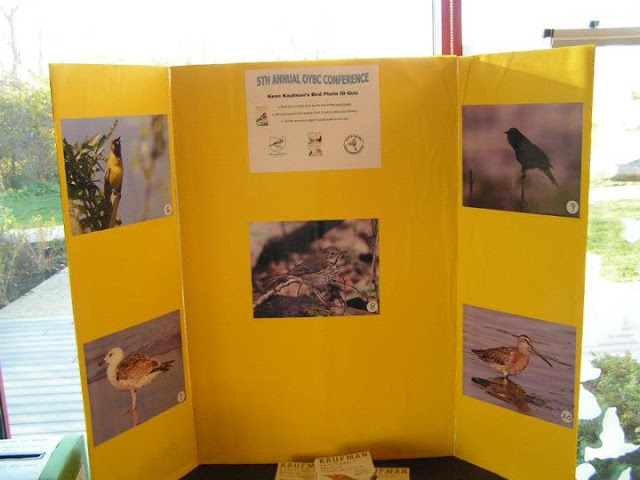 Ohio Ornithological Society (OOS) supported the conference and the OOS President, Jen Sauter, attended. 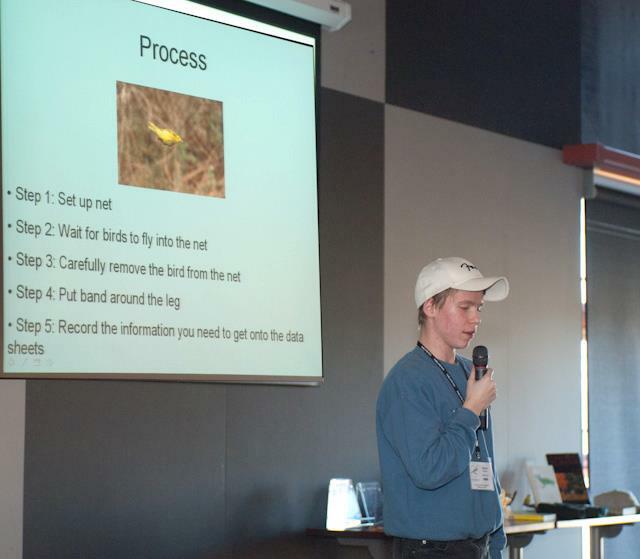 She was so impressed with Lukas's presentation that she invited him to give his presentation at their shorebird conference happening this fall in Lakeside, Ohio! 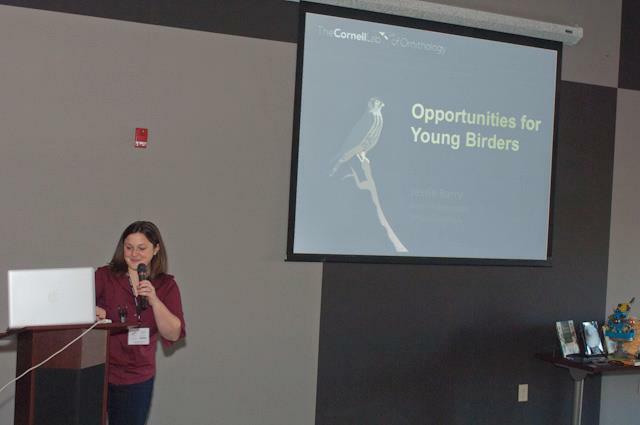 Jessie Barry, from Cornell Lab of Ornithology, gave a presentation filled with opportunities for young birders! BSBO is working with the Lab on some exciting projects for young birders, so watch for announcements about that coming soon! 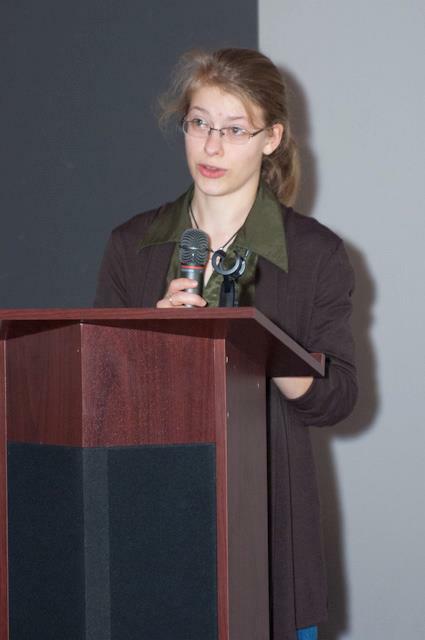 Our keynote speaker was Rachael Butek from Colfax, Wisconsin. Rachael was the 2011 ABA Young Birder of the Year and she gave a FANTASTIC presentation on her experience participating in the program. Her mother was there with her, and the image of intense love and pride on her face as she watched her daughter deliver her first public speaking performance -- and just smash it out of the ballpark on her first try -- will be forever imprinted on my heart. 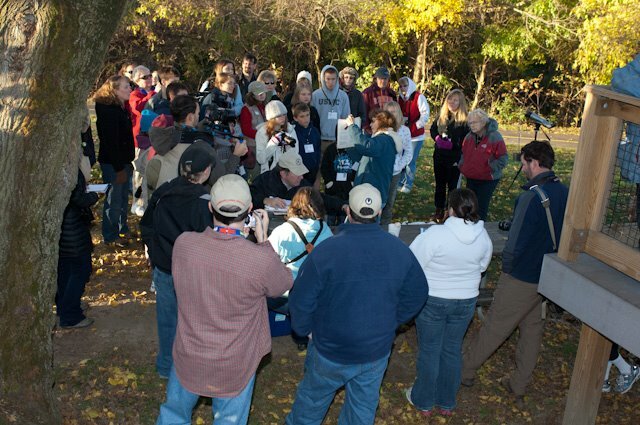 Our 7th Annual Ohio Young Birders Conference is just around the corner. This year’s event is November 3rd, and it's being hosted by the brand-spanking new Aullwood Farm & Discovery Center in Dayton, Ohio. Our keynote speaker will be Benjamin Van Doren from White Plains, NY. Benjamin will be a freshman this fall at Cornell University, and he is already an accomplished researcher and author in bird studies. The conference is an inspiring, informative, and fun experience, and I hope you'll consider attending this year. Come see some of our best and brightest young birders in action and experience hope for the future of bird conservation! Registration will open soon, and you can get more information about the conference -- and about the OYBC -- at the Club's website. 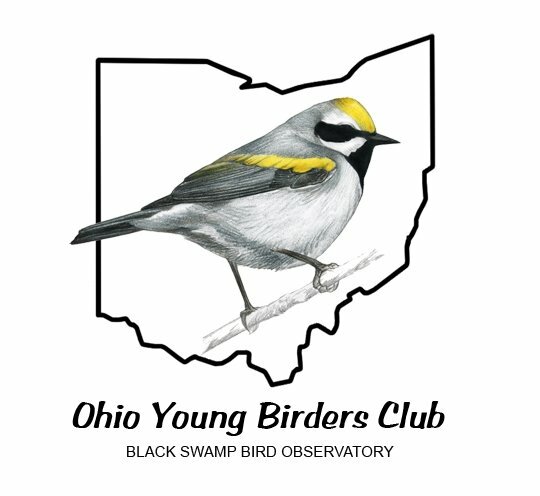 www.ohioyoungbirders.org Or, call Black Swamp Bird Observatory at (419) 898-4070. Original followers of this blog might remember that it started as the Avimor Birding Blog, named for the Boise foothills community where I lived and worked. This last Saturday morning I made a trip back up the hill to Avimor to do a little birding. It was delightful and nostalgic. The area consists mostly of desert steppe hills, worked over and abused for over a hundred years by sheep and cattle. There are several small canyon draws with a little running water. Those draws are packed with birds. I enjoyed dozens of Lazuli Buntings and Black-headed Grosbeaks. 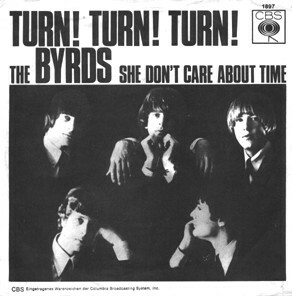 The young birds were capable of flight and appeared to play and chase one another, but were still food-begging from their parents. Hundreds of California Quail, with still very tiny chicks - perhaps a second brood. Not only is Avimor breeding ground for Lazuli Buntings and Black-headed Grosbeaks, but at least 60 other species that I have documented in past years. One of my favorite local breeders is the Yellow-breasted Chat. Do you know where you can go and see a dozen or so chats in a half-hour walk? Avimor is such a place. This bird is so un-warbler like that certainly it must soon be rearranged on the taxonomic lists. The chat photographed below was in the company of a juvenile which was much more shy and mostly remained concealed. Western Wood-Pewees are another abundant breeder in the relatively lush draws among the desert hills. I often hear them before I see them, but they're not too shy. Soon you'll spot them hawking insects from the sky. 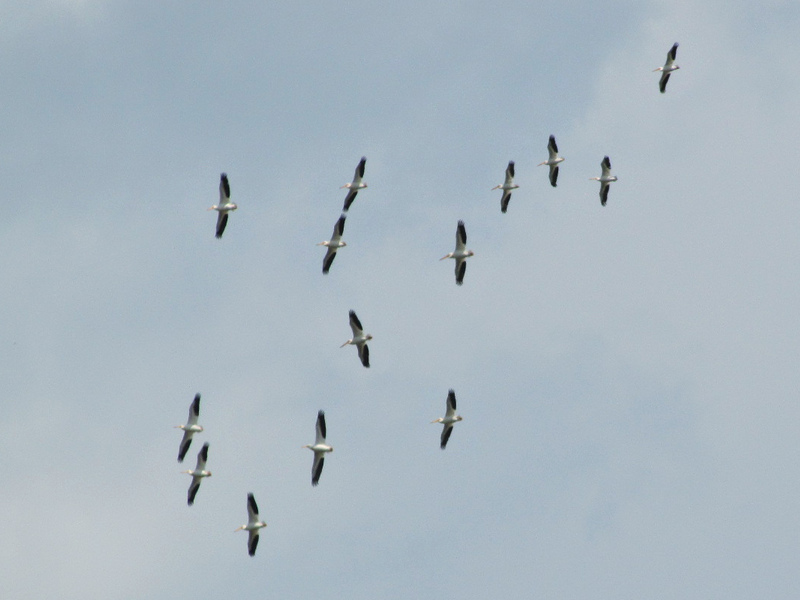 If you listen closely, you can even hear the snap of their bills while they are on the wing. Avimor is really a cool place, especially if you enjoy wildlife. This last week, neighbors reported a mountain lion snoozing on a back patio. While I was birding Saturday morning, hikers and mountain bikers reported a bear a mile up the trail. Wolves are frequently reported and even the occasional moose. Loads of mule deer, pronghorn, and elk frequent these hills. I look forward to renewing my friendship with this land and its birds. This summer has been a hot one and in northern Illinois we are feeling it pretty strong in terms of drought. Our corn crop looks pretty pathetic but I still hold out hope that most of it will pull through. 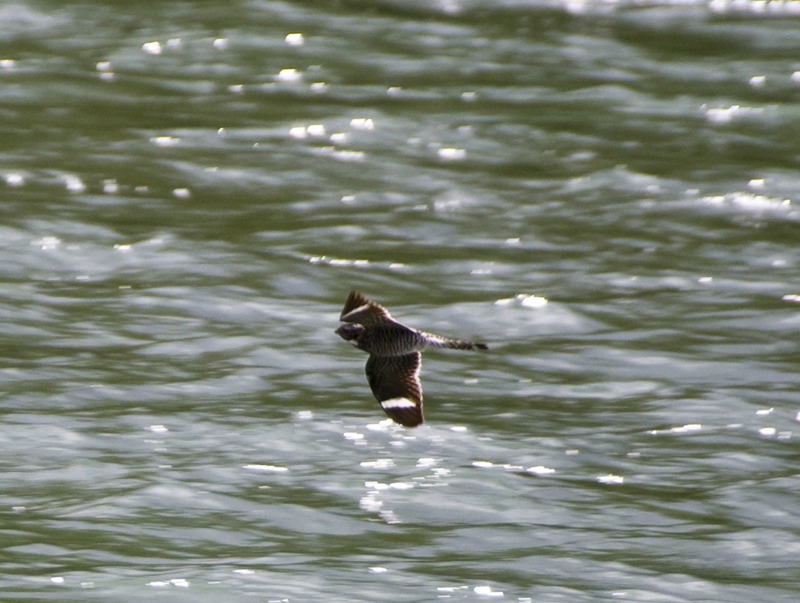 Another drought I've experienced first hand this year is that of Common Nighthawks. As in, I haven't seen a single one yet! Last year during many summer evenings when I was at a baseball game or just walking around downtown Sycamore, I would often hear the tell-tale sound from the fascinating nighthawk. I wonder what the deal is. Has the drought effected their food supply? It has been less buggy by my account but I've seen plenty of other insectivores. Am I not out enough in the evenings and have just missed them? Likely. Despite the lack of Common Nighthawks I did have the pleasure of hearing a Whip-poor-will while on a backpacking/camping trip with my nephew, marking bird #173 for the year. Not too bad of a number considering I've been birding casually at best (although a winter trip to Florida helped!). Some more information on the Common Nighthawk from Cornell's "All About Birds". Like many birders and bird photographers, one of my favorite aspects of birding is finding and photographing new species. In my quest to find what I haven't seen before, I have frequently been aided by a local email listserve. 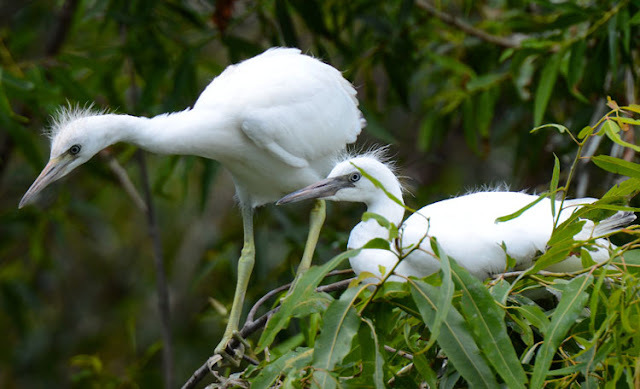 By joining this listerve, I not only had the opportunity to learn from birders with many years of experience with Florida birding, but I've also been able to read reports from other birders. This has allowed me find many different kinds of birds. 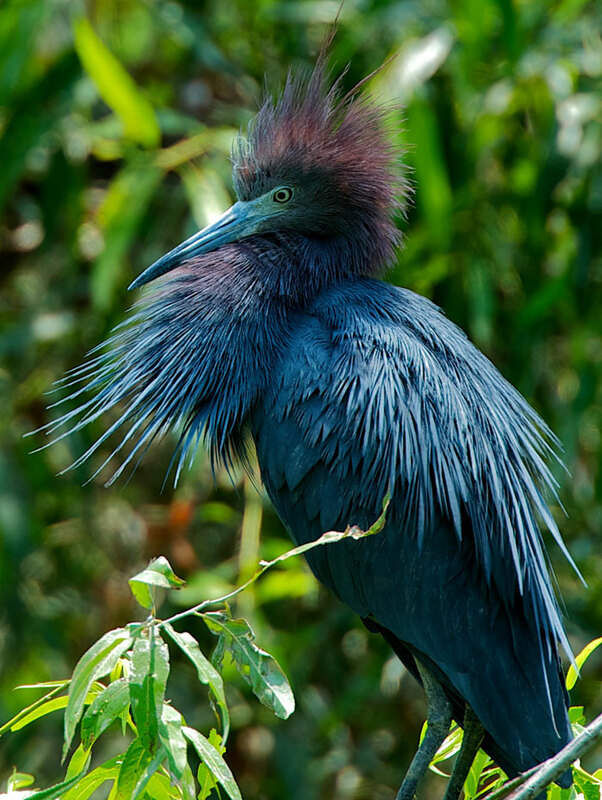 A vagrant is a species of bird that simply doesn't belong in your area--it's a bird that has been found well outside it's expected range for breeding, wintering or migrating. Some birds become forced from their normal migration paths by storms, and they land far outside their normal range. Others wander from their normal ranges due to youth or other factors. It's always enjoyable to find these birds, and checking a listerve is a great way to find vagrants in your area. The Vermilion Flycatcher pictured above is normally found in the southwestern U.S. and southward, and it would be unusual much east of Texas. But in February 2012, two males were found at Orlando Wetlands Park just east of Orlando. Fork-tailed Flycatchers are normally found in Mexico and southward, but some wander widely from their normal range, and they can be found in the eastern U.S. One was found in the Cockroach Bay area of Florida in January and February. Another was seen in Lake Apopka earlier this month. Lark Sparrows are not usually found along the gulf coast, but can be found in western and midwestern states. But this Lark Sparrow was found at Ft. De Soto along the gulf coast of Florida. Sometimes it seems like there's a bird that's just avoiding us, as if the entire species had a meeting to conspire together and avoid being seen by one individual. When this happens to you, you need a counter-strategy, and a listerve can be just the strategy to outsmart these nemesis birds. I went to Viera Wetlands in March, and I must have been lax in reading the listserve, because I didn't know that my then nemesis bird, the Gray Kingbird, had just been seen there. But, as I approached the wetlands in my car, I noticed several people (who had been reading) gathered just outside the wetlands staring at the bushes. I pulled over to see what they had found, and there was my nemesis bird. My next nemesis bird has been the Prothonotary Warbler. These birds have been so successful in their conspiracy to avoid my detection that I had to leave the state to find one. 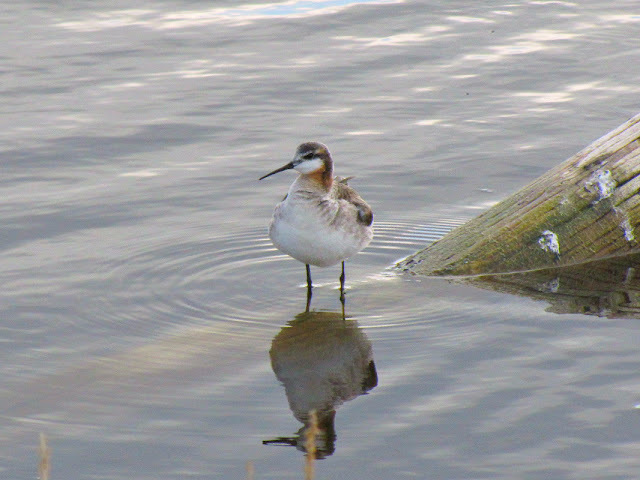 I went up to Northern Virginia to visit family this past week, and I got wind that one had been seen at Occoquan Bay NWR. So I walked the "easy trail" to the river, and there it was waiting for me. He must not have been part of the conspiracy meeting. 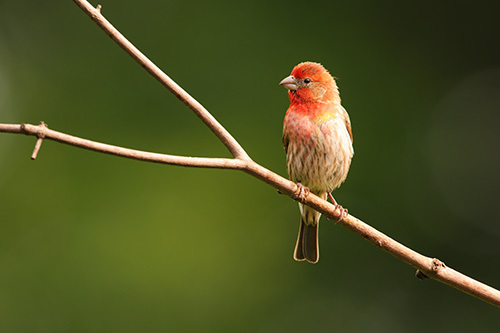 While I think we should be careful about broadcasting the location of truly rare and endangered birds, some species are threatened due to habitat loss, but their habitats may be visited without disturbing bird populations. Recently a friend posted the location of some Bachman's Sparrows. And when I first moved to Florida, one of my first sightings of a threatened species was a Florida Scrub Jay. Of course, with threatened and endangered species, we must be even more diligent to avoid disturbing the birds or disrupting their habitat. But good and responsible communication between birders can enhance the experience for all of us. 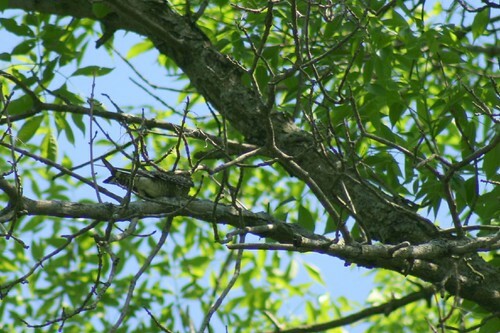 July can be a rather lackluster month for birding in Canada. The June rush of babies everywhere has faded, waterfowl go into eclipse moult, and temperatures are just too high to entice me to go looking. A case in point is the recent trip we took to a neighbouring province. We were in a lovely little wooded valley that contained four large lakes. For three days, the Humidex was 40C, or 110F. Active birding wasn't even contemplated, and our bird watching was restricted to watching flocks of White Pelicans float about overhead. Upon our return, I discovered I had received a copy of the new State of Canada's Birds Report put out by the North American Bird Conservation Initiative. The report draws on 40 years of data, and is the first document produced on the health of our birds. I knew it was coming, but it sat on my desk for several days while I summoned up the courage to face that much reality. When I finally opened it I saw that on average, Canadian breeding bird populations have decreased by 12% since 1970, which is when effective monitoring began. Well, that didn't seem as bad as I was expecting, but the key phrase there was 'on average'. All birders have a favourite species or two, and a story to go along with it. In my case, one of those special birds is an insectivore, the Common Nighthawk. 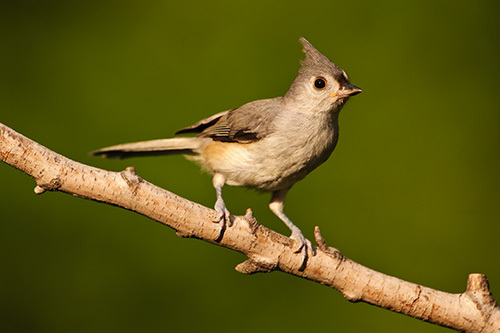 When I was a little girl these birds really were common, and we heard them every evening. My dad would say there's the rainbird - their cry means rain is coming - and to this day their call takes me back to warm summer evenings, watching the sky with my father. Three years ago we camped along the Red Deer River in southern Alberta, and watched 15 or 16 nighthawks every evening. This month we camped there again, and there were two. It’s very hard not to take this personally. 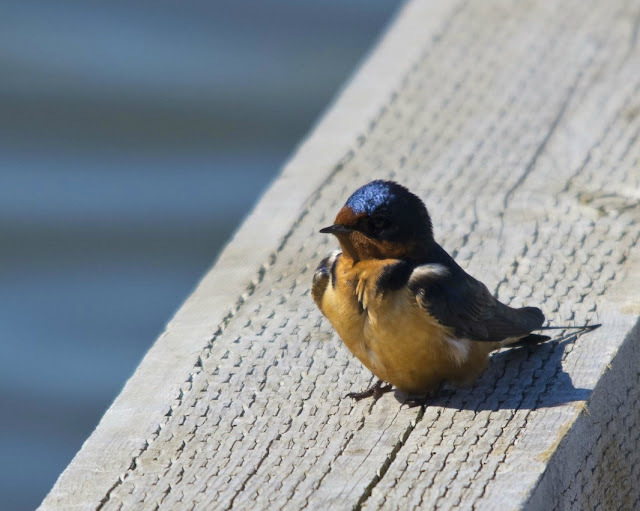 Aerial insectivores are declining more rapidly than any other group of birds, and some formally common species like the Barn Swallow and Chimney Swift have declined to less than a quarter of their pre-1970 levels. Twenty-two of the 26 species that breed in Canada are declining, with swifts, swallows and nightjars - Common Nighthawk and Eastern Whip-poor-will - showing the most alarming changes. As bad as the statistics are for insectivores, they’re worse for shorebirds, whose populations have declined by almost half. These long distance migrators are being affected by loss of wetland habitat on all stages of their journey, from their breeding grounds in Canada to stopover sites and wintering grounds throughout the Western Hemisphere. The prairies however, also support millions of breeding ducks and other waterbirds whose populations have increased, largely due to more sustainable hunting management and protection or restoration of wetlands. Raptors are another success story, and their populations are continuing to recover since the banning of chemical pesticides in the early 1970’s. Osprey and Bald Eagle populations have doubled or tripled. Peregrine Falcons have increased due to release of captive-bred individuals. Merlins, Cooper’s and Broad-winged Hawks are becoming more common in urban environments, likely due to the abundance of prey species around bird feeders. The news is not so good for the little insect-eating American Kestrel or the Northern Harrier though, whose populations have declined by 60%. 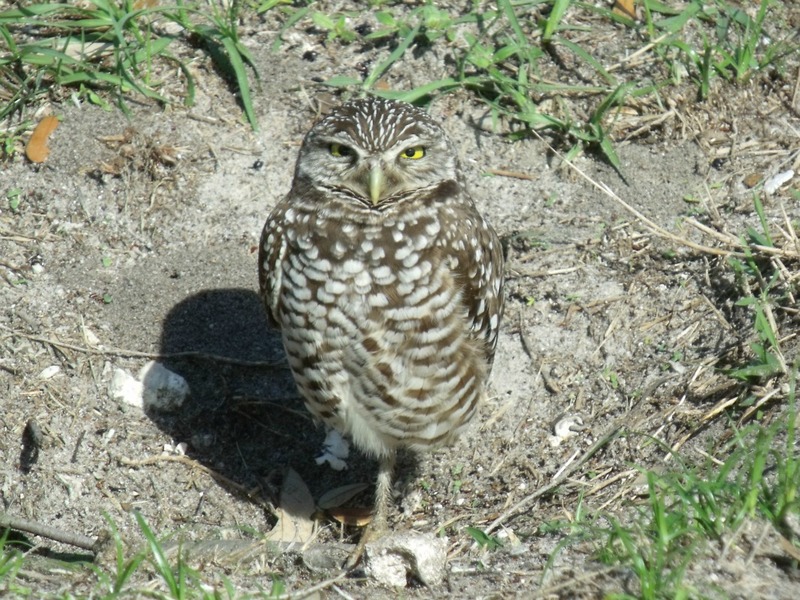 Burrowing Owls can successfully co-exist with man on well-managed grasslands, but disappear completely from pastureland that is over-grazed, or converted to cropland. Many Burrowing Owls that breed in Canada do not return from their winter migration, and only half of the adults come back to their northern breeding grounds. The Canadian Arctic provides nesting grounds for millions of birds. Overall indicators for this area have changed little in the last 40 years because the figures combine dramatic increases in waterfowl (Snow Geese populations have increased 300%) with steep declines in shorebirds. The Canadian coastline supports about 15 million breeding seabirds whose populations have increased, reflecting a long term recovery from historical over-hunting. I was surprised to read the Snowy Owl population has also declined by more than half in the last 40 years. Given the amazing irruption of snowys last winter, birders in the lower latitudes may be forgiven for thinking their overall population is doing well. It will be interesting to see how many sightings there are this coming winter. 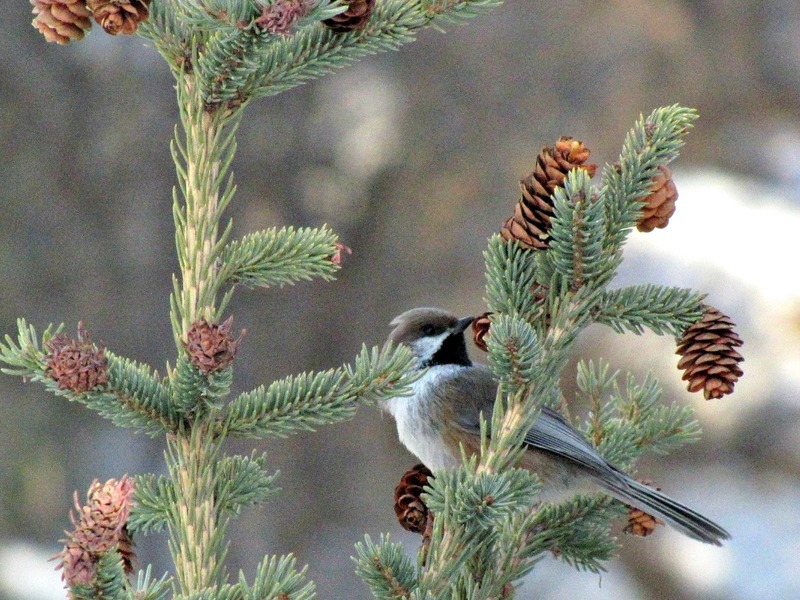 The vast expanse of the boreal forest is a nursery for billions of birds. Due to its enormous size and inaccessibility, monitoring the status of boreal birds is restricted to the southern edges, where habitat modification is highest. 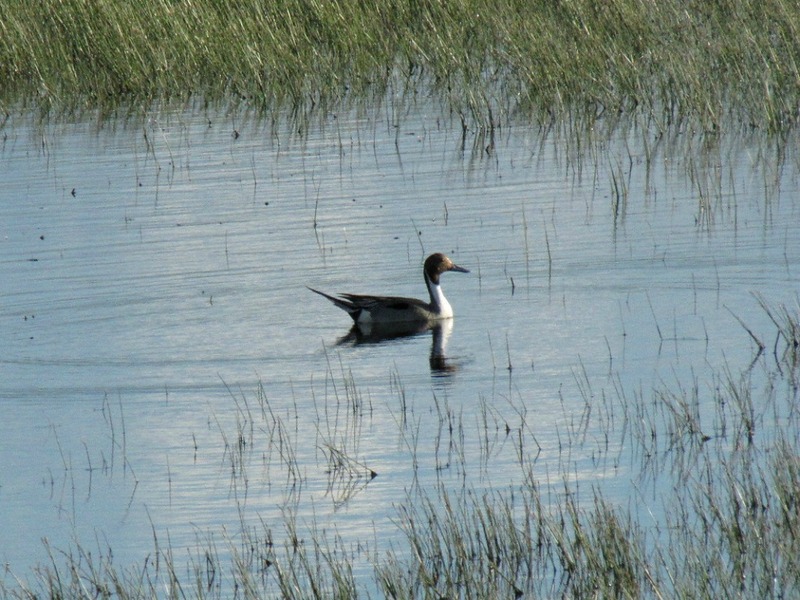 The only group of birds that have been effectively monitored throughout the forest is waterfowl, as they’re counted from the air by helicopter or small airplane. 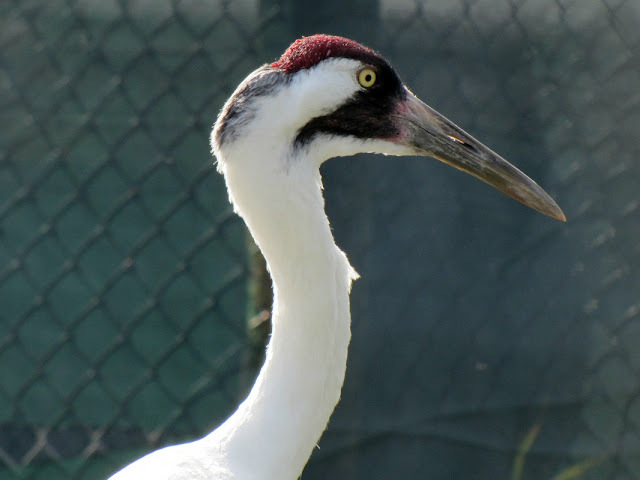 Whooping Cranes have recovered from an all time low of 15 birds, to 2011 figures of 430 in the wild and 160 in captivity. The report also states that Common Goldeneye and American Bittern have declined strongly, leading me to wonder how on earth do you even see, much less count, American Bitterns from a helicopter? Overall, the forest species show little change. 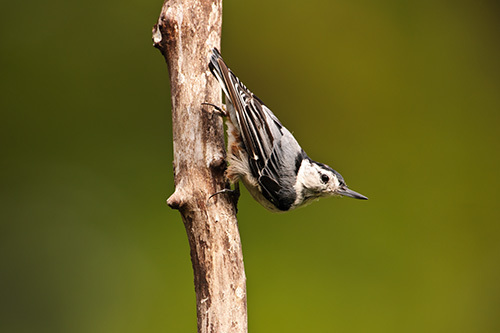 Some resident species like Pileated Woodpecker, Common Raven and Red-breasted Nuthatch have shown strong population increases. Many migratory species such as warblers have declined, as shrub and forest edge birds are showing the steepest drop in numbers. 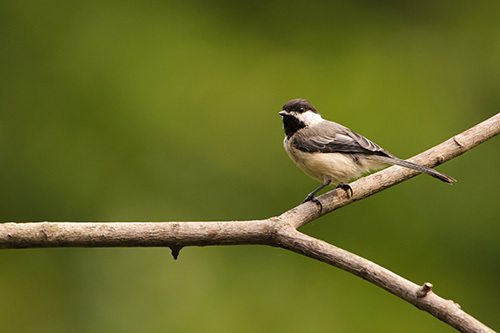 Only 22% of Canada’s breeding birds stay here year round and these are the species that have shown little change or even increases in their population. 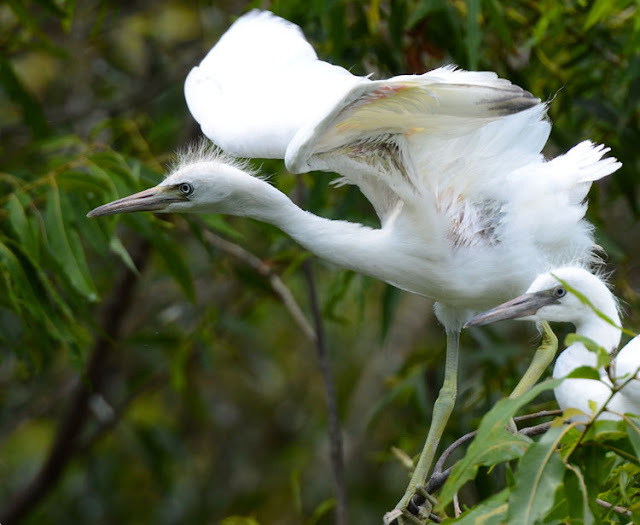 It’s the hazards of migration that are taking the heaviest toll on birds. 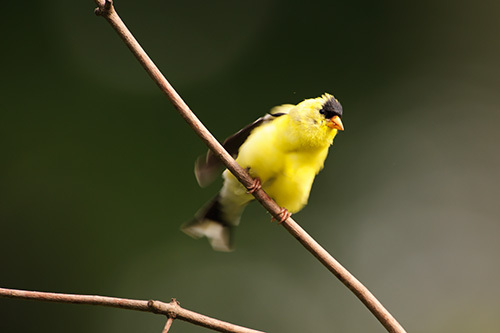 Species that migrate the farthest – from Canada to South America – are declining the fastest. International cooperation on a hemispheric level is the only thing that will allow future birders to puzzle over the identification of a shorebird. It has never been more important for birders to speak out on behalf of our avian friends. People can’t help unless they know about the problem, so let’s get out there and recruit more birdwatchers! The other thing that kinda has me bummed-out with regard to birding is that I am now living in Meridian, Idaho. It was the only place I could find to rent with enough room for our family and at the right price. Don't get me wrong. Meridian is a great town with lots of friendly people, but it is rather on the low end when it comes to native bird habitat. 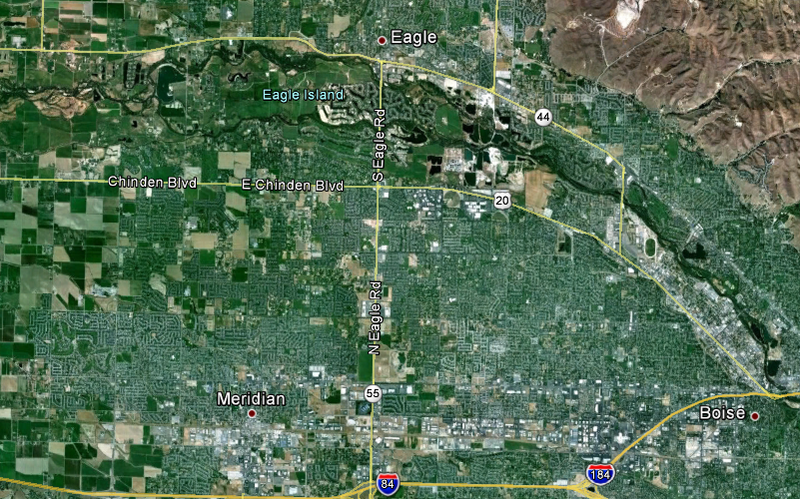 You see, Meridian was once a sagebrush desert, prior to the mid-1800's, and it probably didn't support many birds even then. Thanks to irrigation it become a vast expanse of agricultural land, both dairies and farming. 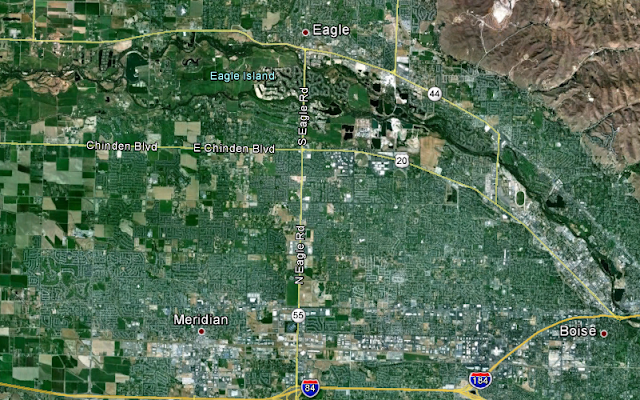 In the last 20 years, Meridian has become an endless sea of roof tops melding into Boise until their borders are indistinguishable. I can't complain too loudly as growth and home building has been the major source of my livelihood my entire life. I am of the opinion that it can be done much better than we have been doing it for the last century. 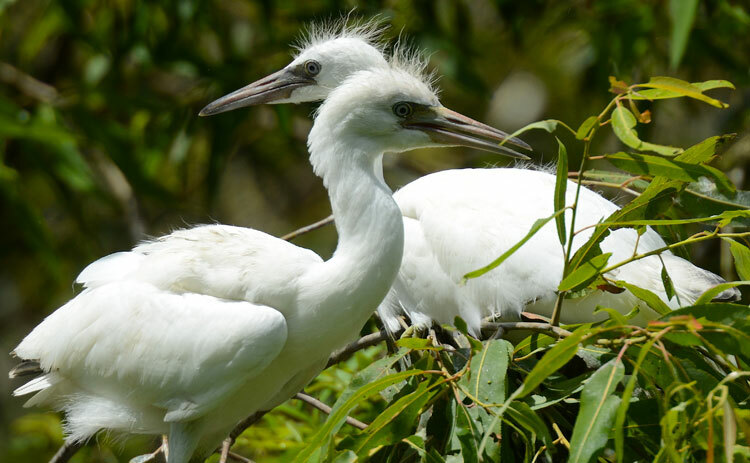 There are better community designs that help sustain large and connected areas of natural habitat and therefore native birds and wildlife. 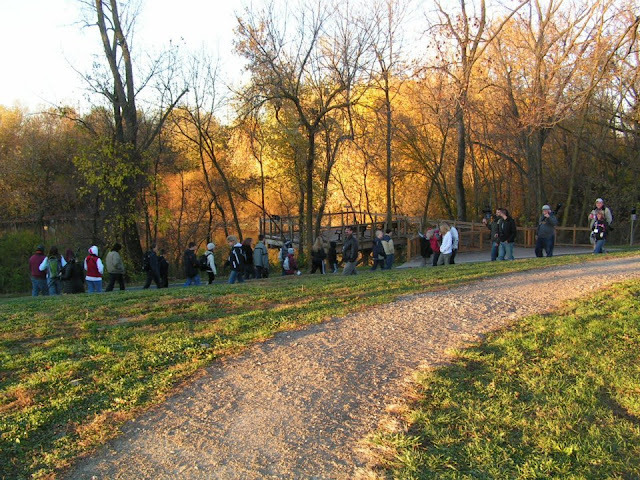 Communities designed to embrace natural landscapes, native plants, and wildlife are often more appealing and lead to healthier lifestyles than traditional urban sprawl. So anyway, Meridian's got nothin' in the way of great birding. Trust me, I even tried my own systematic method for "How to Pick a Patch" without success. There are no natural streams, rivers, ponds, nor lakes. Even the irrigation ditches lined with non-native trees don't boast a large number of birds. I've got my feeder up and my yard list is around a meager dozen species. There are a lot of really nice birding locations in the greater Boise area, but it's all a bit of a drive for me now. Our company office is out of my parent's home, and it too is in bird-barren Meridian. I haven't been taking my once sacred lunch-hour bird-walk. I'm going to have to change that soon for my own sanity. I just gotta get out and about, away from birder purgatory, and stop wallowing in non-birding birder remorse and self-pity. Don't even ask me about my complete and utter hypocrisy related to eBird this year! I am ashamed. I want to repent. 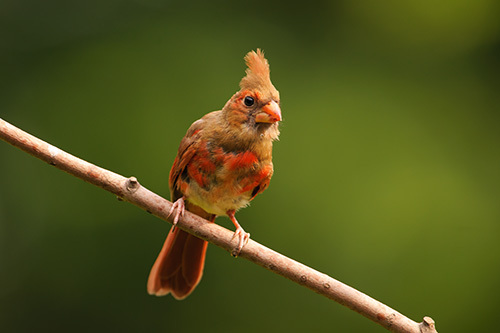 There are a few things related to birding for which I am very excited. 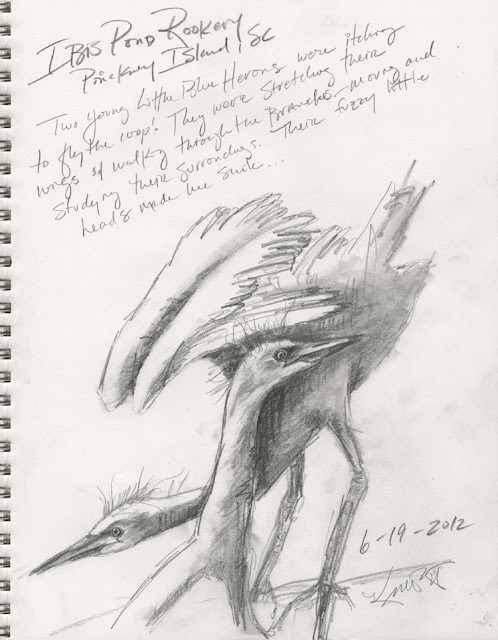 BiF contributor Rob Fergus - The BirdChaser - will soon be visiting his family nearby in my hometown of Nampa, Idaho. We are arranging to meet in person for the first time and do a little birding together. I'm totally stoked for my opportunities to go birding at the Oregon Coast for most of a week in early August. That will be followed immediately by a special quick weekend birding trip to a cool destination I'll have to tell you more about later. Maybe these trips will help me overcome my eBird related deficiencies and get me out of my birding slump. What else is going on in my non-birding world of late? 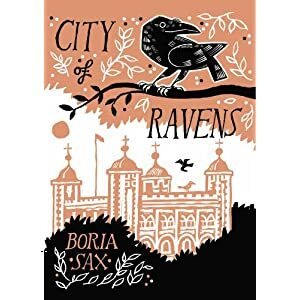 Well, let's see...Oh, I'm reading "City of Ravens: The Extraordinary History of London, the Tower and its Famous Birds" by Boria Sax during my precious quiet time on the commode. Yeah, you might not want to borrow certain books from me as they have become "bathroom books" (a Seinfeld episode reference there, if you're wondering.) Anyway, the book is an extremely fascinating look at the history, legend and lore, and modern-day politics of the Tower of London ravens. As a huge fan of history and birds, this book is right up my alley, very well written, by an American interestingly enough, and I highly recommend it to like-minded bathroom book readers everywhere. 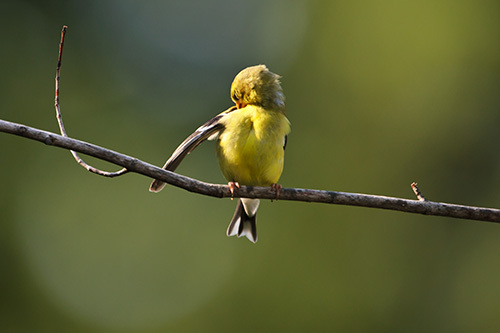 While you may not believe me after these confessions, I still live the mantra: "always be birding". We've had a number of family events in the out of doors recently. I was always noticing the birds and had my Eagle Optic Ranger SRT 8x42's strapped to my chest and I actually used them a few times to look at birds. From my office window, in my parent's house, I have enjoyed watching House Sparrows and House Finches glean insects and grit from the flower beds, Robins and Starlings foraging under the plum tree, and Mourning and Eurasian Collared-doves cooing from the roof-top. I just haven't "gone birding" lately. On top of all my distractions from birds, I am also very excited for the Olympic Games in London to begin. My mom's example during my childhood has made me an ardent devotee of the Olympics...Oh and Boise State and BYU football start right on the heels of the games. Not to mention the presidential election about to really heat up. Don't know when I'd have time to watch any of these sporting/political events, what with all the birding I'm doing, but oh my, what a wonderful time of year! Maybe I'll get out and see what shorebirds are migrating through...when I get around to it. All I gotta say is, thank goodness the contributors here at BirdingIsFun.com are so dang good. 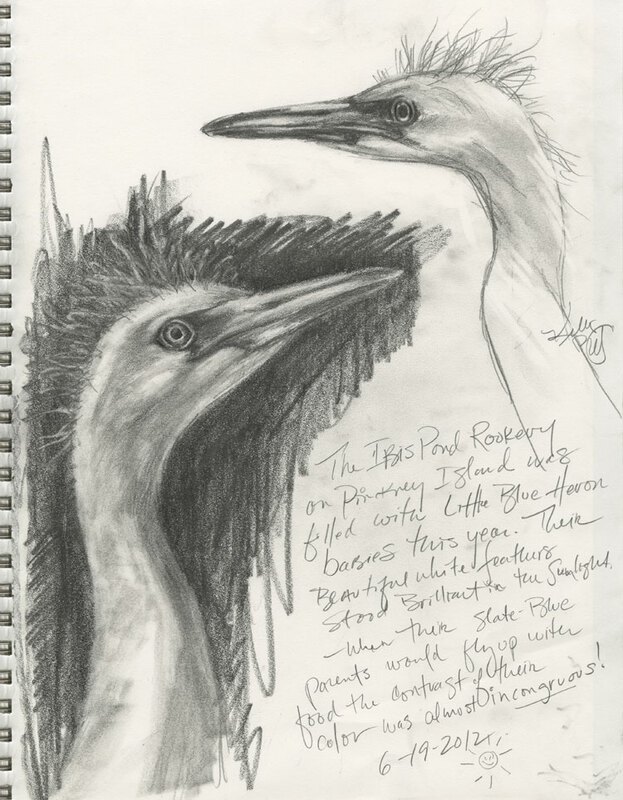 Their talents have kept this blog alive and have given me some daily vicarious connection to the wonderful world of birding. Haven't their posts since October 1st, 2011 been fantastic?! I received some interesting emails after my last post There's No Place Like Home. Most were requests to see my backyard bird photography studio or advice on setting one up, which will be the subject of my next post. However, one email in particular made me think a little after I read it. 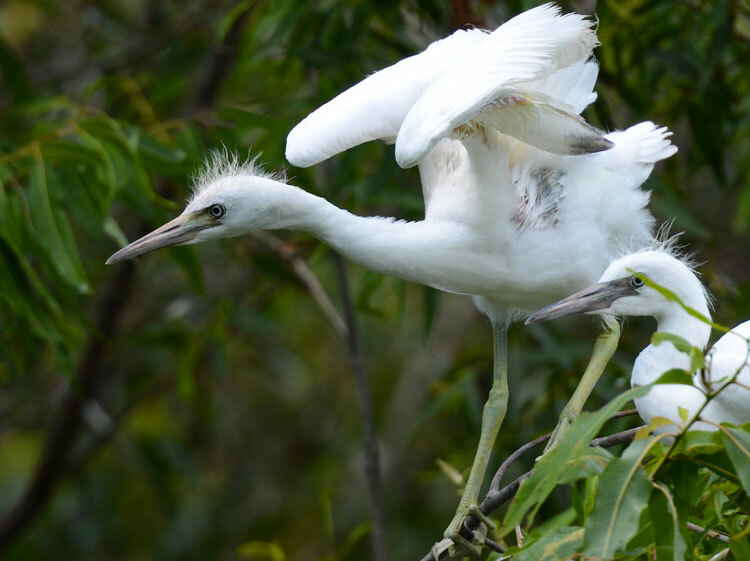 Given the outpouring of support for Pledge 2 Fledge, I decided this post should be about the beauty of common bird species. You see, the reader of my last post seemed to think they were getting bored with just photographing the same species and wanted to branch out (pun intended :-)) into different species but didn't have the time or companionship to make that next move. What I tried to do in this post and in my email response to the reader, is show some common backyard and park species doing something special or looking really good! One of the most important things in bird watching in my opinion is observing varying bird behaviors and learning to appreciate and see the differences in the birds as the seasons change. How could you ever be bored with that? I hope you agree, that there is beauty in common. Now go out and enjoy some common bird species! And remember, we are all out here because Birding is Fun!